Wrestlemania Star Takes Stage With LGBT Entourage - Joe.My.God. 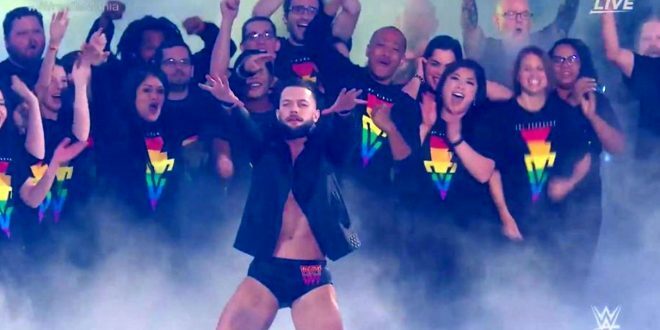 Irish WWE star Finn Balor competed in his very first Wrestlemania tonight in New Orleans, and he delighted WWE fans with his inclusive entrance. Balor entered the Mercedes-Benz SuperDome stadium flanked by members of the New Orleans LBGQT community, who all wore his new rainbow inspired “For Everyone” t-shirt. His new shirt incorporates a rainbow design to promote inclusivity of the LGBTQ community all over the world, with 20% of the sales benefitting the GLAAD charity.